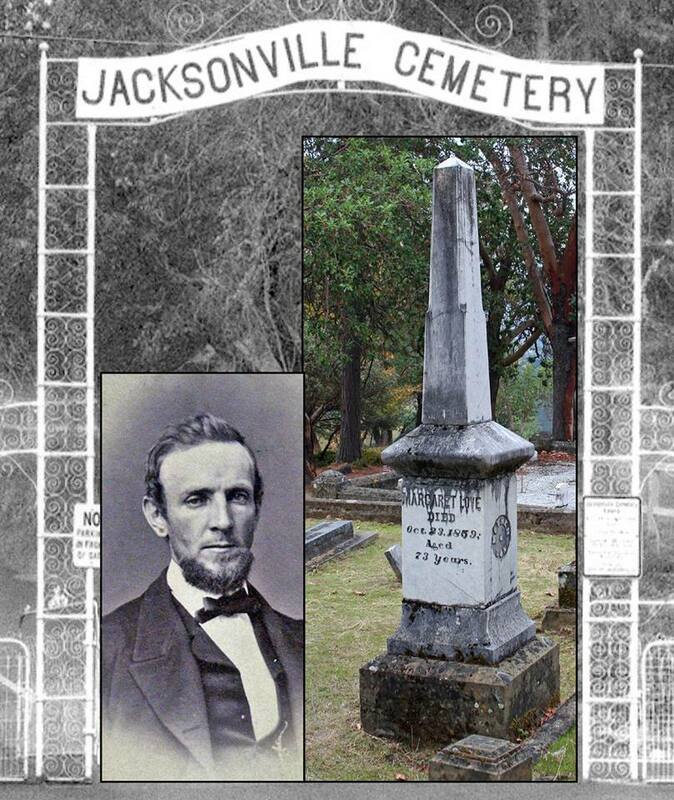 John Love | Historic Jacksonville, Inc.
John Love, a leading Jacksonville businessman and public servant, helped plat the town in its infancy, served as one of the town’s first trustees, and was instrumental in establishing the town cemetery. When his mother Margaret died in 1859, the town could not refuse his request to bury her in the new cemetery, even though it was not officially open. Since there was no road, relatives and friends laboriously carried her through the rain up an Indian trail to the top of the hill where she was interred in the family plot, the first person to be buried in the Jacksonville Cemetery. The tall marble obelisk that marks her grave was shipped from Italy around Cape Horn and hauled overland from Crescent City.